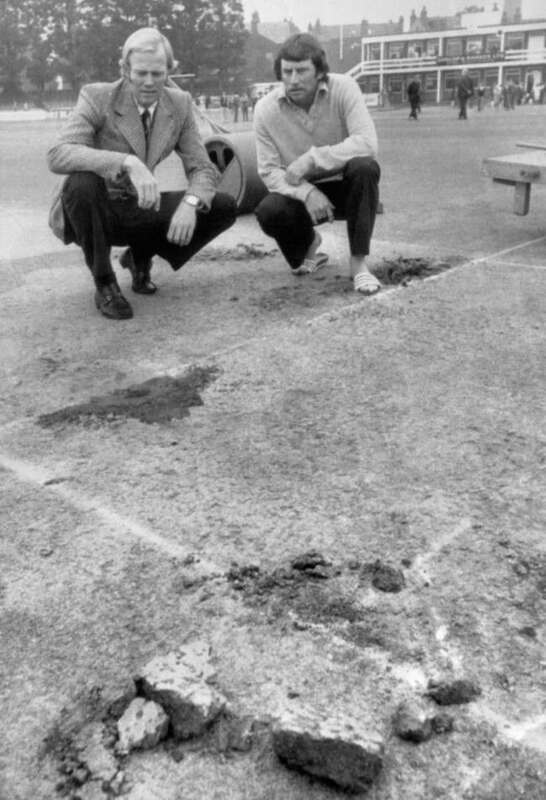 ON August 19, 1975, the third England v Australia Test at Headingley was abandoned following vandalism. A man who said he was a supporter of the George Davis campaign telephoned BBC radio London and claimed the group was responsible. 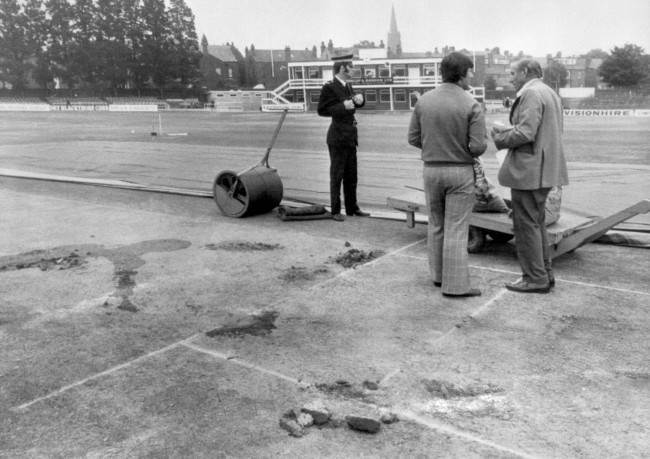 Slogans were daubed outside the ground and the wicket was vandalised with a bit of digging and poured oil. The Test was declared a draw robbing England of the chance to win back the Ashes and the trophy. 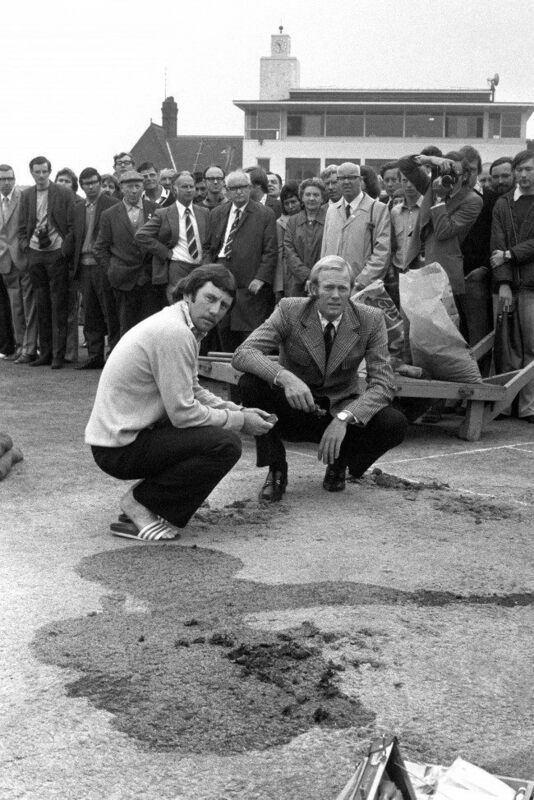 In these pictures Australian cricket team captain Ian Chappell and his England counterpart Tony Greig inspect the vandalised pitch. 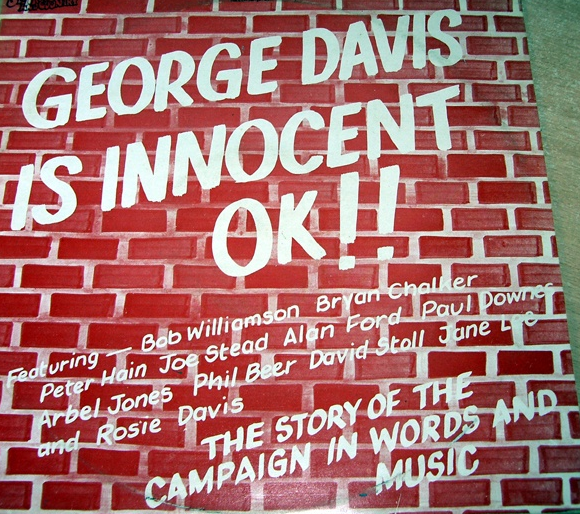 The words “George Davis is innocent” can still be seen on some motorway bridges. In this shot, the policeman with the large mutton chops seems to be guarding the heavy roller. So. Who was Davis? Who wanted him free? And why wasn’t he free? Davis was an east London minicab driver jailed for his part in an armed robbery. In 1975, he was sentenced to a 20-year prison, which he’d been serving at Albany Prison on the Isle of Wight. The robbery had taken place at the London Electricity Board’s offices in Ilford, Essex, on 4 April 1974. During the attack, a police officer was shot and injured. Another was run over. Four men were arrested. Only Davis was convicted. He said he had been fitted up by the police. He said it over and over. Rose Davis, his wife, believed his innocence. So too did his best friend called Peter Chappell who said he had seen Davis driving his mini cab at the time of the robbery. It was Chappell who had dug up the cricket pitch in Leeds. No-one in power believed any of them. One witness claimed to have seen him abandoning the getaway car. Davis claimed he had been driving a mini- cab on the morning of the crime, delivering a consignment of fish to a restaurant in Chancery Lane. None of the blood samples found at the scene matched his blood type. 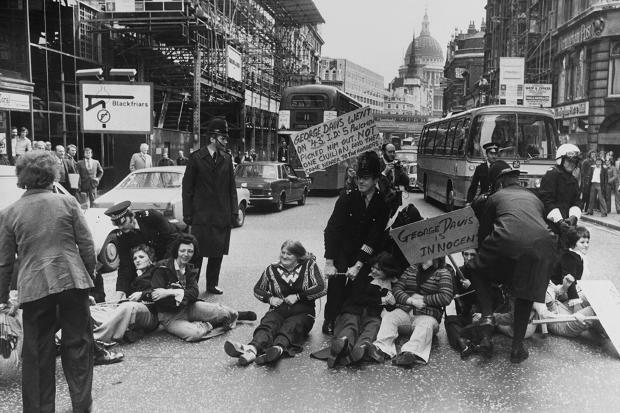 In May two campaigners – Davis’ brothers-in-law Jim and Colin Dean – carried out a seven-hour roof-top protest at St Paul’s cathedral in London. But Chappell was the driving force to free George Davis, literally – he drove a van down Fleet Street, smashing his van through the front windows of the Daily Telegraph and Daily Mirror. He later drove through the gates of Buckingham Palace. As Adam Curtis notes, Chappell went to Paris on the ferry and drove through the windows of the British Embassy. 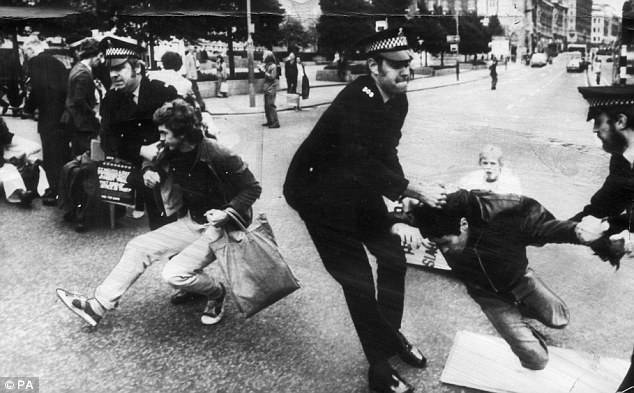 And then there was the 1974 Christmas incident in which Peter Chappell blew the lights on the Christmas tree in Trafalgar Square as Rose Davis stood vigil for her husband outside Scotland Yard. The campaign grew. This was the working man against the powerful, paternalistic State. 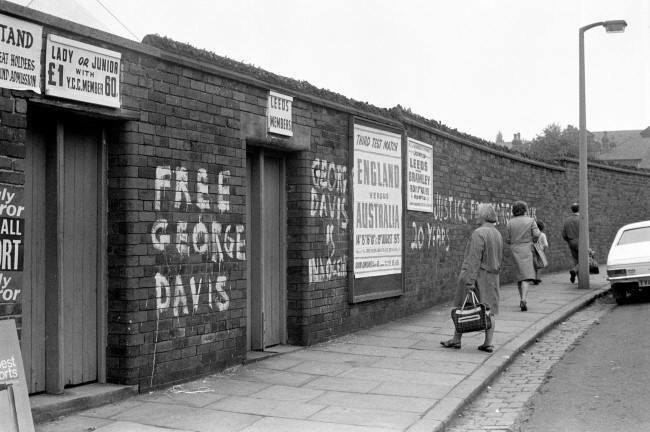 The Who performed a benefit concert for Davis at Charlton Athletic’s The Valley football ground. Rose and the band all sported “George Davis Is Innocent” T-shirts. The radical Half Moon theatre company staged a play, George Davis Is Innocent OK, at its tiny theatre in Aldgate. 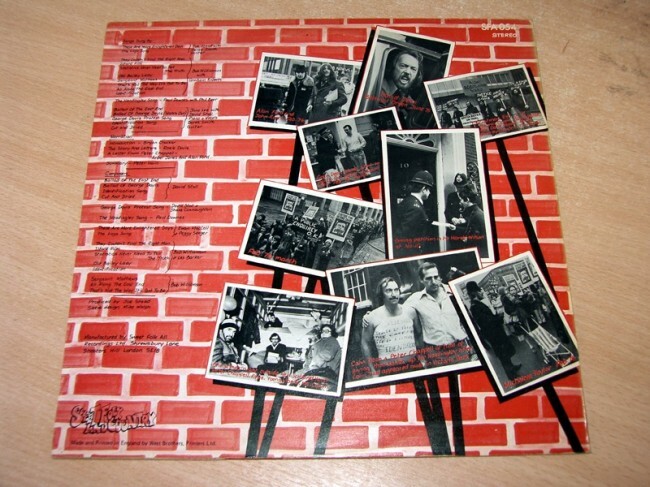 There was an album, featuring tracks by Bob Williamson, Bryan Chalker, Peter Hain, Joe Stead, Alan Ford, Paul Downs, Arbel Jones, Phil Beer, David Stoll, Jane Lee & Rosie Davis. Peter Hain would become a Labour MP and serve in the Cabinets of Tony Blair and Gordon Brown. In 1975, he was framed by the South African secret police, Boss, for robbing a bank. He was acquitted after an Old Bailey trial. But the Headingley stunt was the one that really pricked the public conscience. Of the four people tried for digging up the pitch, three received suspended sentences. Peter Chappell was jailed for 18 months. 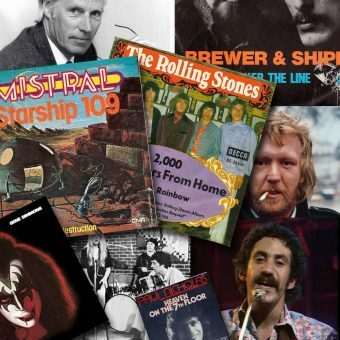 …punks, radical lawyers, revolutionaries, east-end squatters and artists, and lots and lots of ordinary people who were shocked by the miscarriage of justice. Rose Davis called these groups “soap avoiders”. She said – “they are very intellectual, but most of them never wash”. 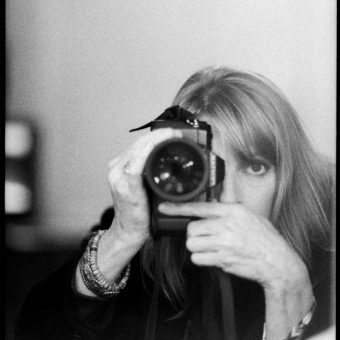 “First I had to convince the Observer’s editor, David Astor. He had moulded the Observer as the intelligent liberal flagship of the postwar press, but his interests were, on the whole, affairs of state, national policy, topics of concern to the great and the good. 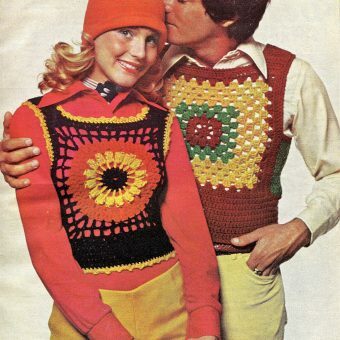 Would he buy this tale of a hoodlum and his campaigning wife and friend? Astor had two main questions. Did I genuinely think Davis had been wrongfully convicted? And, if I did, was it of consequence, set against the lofty events with which the paper then mainly concerned itself? “There was no forensic link between Davis and the robbery. The police relied on identification evidence and Davis’ supposed statement, which he claimed contained words made up and inserted by a police officer. Davis was picked out at an ID parade by three policemen, all of whom had been travelling in the same car. At a second set of parades held three months after the crime, 34 out of 39 witnesses failed to pick out Davis. And three made wrong identifications. Did the police send innocent people to prison? Did the police lie on oath? Was there corruption in Scotland Yard’s Robbery Squad? The head of the Robbery Squad in those days was none other than the legendary Jack Slipper, ‘Slipper of the Yard’, the man who rounded up the Great Train Robbers. An outside police police investigated the Robbery Squad. They reported back to the Home Office. 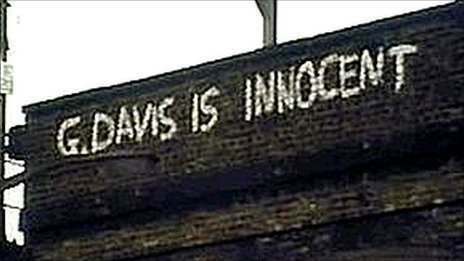 Home Secretary Roy Jenkins announced that Davis must be released. On May 1976, he was. But the Home Office ruled that the reasons behind his incarceration would remain secret for 34 years. Roy Jenkins said there was serious doubt about his identification. Davis’s sentence was remitted by Royal Prerogative. He let the fame go to his head. 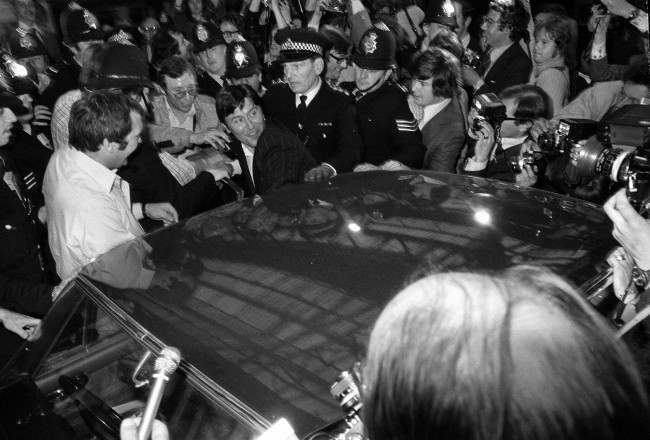 Here are two photos of Davis’s arrival at Waterloo Station following his release from prison. Rose is planting a kiss on his cheek. 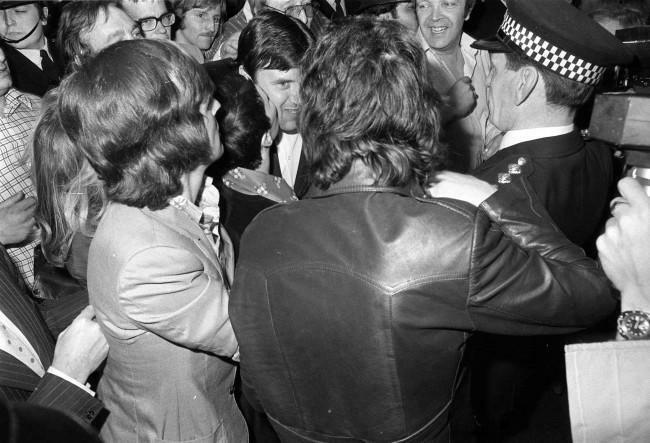 Only, he was arrested again in 1977 and later admitted his part in an armed robbery at the Bank of Cyprus on Holloway Road, London. He was sentenced to 15 years which was reduced to 11 years on appeal. Davis was freed in 1984 but three years later he was sentenced to 18-months for attempting to steal mailbags. After his release, he marred for a second time. His bride was a London Chief Inspector’s daughter. Despite what his gullible Left-wing supporters thought at the time, his original conviction may have been correct and it has never been officially overturned. His other convictions are beyond question. It wasn’t just about Davis. It was about police lies sending a man to prison. 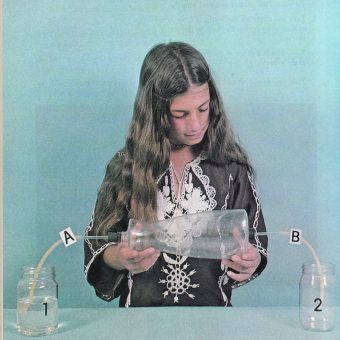 It was about authority being questioned and found wanting. 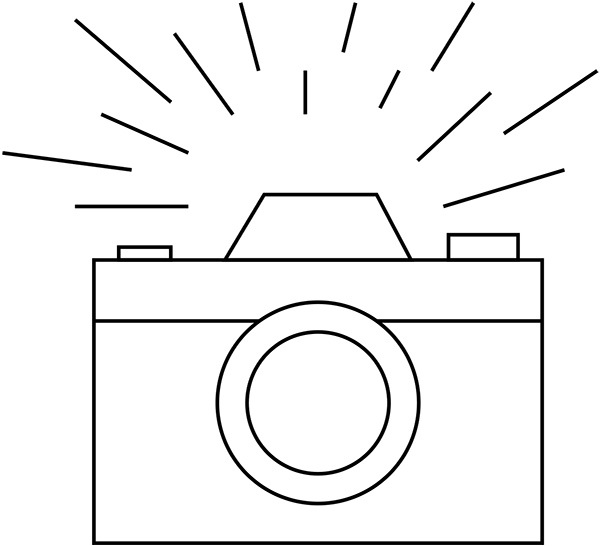 It was the story of a slogan that went ‘viral’ and a campaign that achieved its aims. It was about lies being maintained by secrecy backed by arcane laws. In May 2011, George Davis finally won his appeal against that 1975 conviction. Three Court of Appeal judges declared his conviction “unsafe”. But they said they could not “positively exonerate him”. How can police lies and an unsafe conviction not mean that George Davis is innocent?